Before sprinting to the car dealership to make an impulse buy take a deep breath. Patiently performing thorough due diligence on your auto of choice can save you time and more importantly money. Use these 5 smart tips before you buy your new car. Obtain multiple price quotes online to have some leveraging power when you visit the dealership. Certain online auto websites will help you cross-shop between different dealers. Some dealerships have online sales staffs which can supply you with a quote. You never need to pay the quoted price. In addition, you can use these quotes when bartering prices with other dealerships. Find out the exact amount the dealer paid for the automobile. You can find the invoice price online with just a little bit of research. Negotiate up from the invoice price as opposed to down from the sticker price. Do not get the invoice price related to the base price of the vehicle. Find the invoice price that includes all the bells and whistles you wish to add on to the car. List out each option you are consider for your new buy. Print out this information along with the invoice price of the specific model of car you are set on buying. Dig deep into rebates and manufacturer incentives. Subtract these rebates from the invoice voice. Get your free credit score before deciding if you want to go the financing route for your new auto purchase. Research loans by checking out rates at local credit unions and banks. Bring all documents with you to the dealership detailing the loan rates you’ve locked in from the bank. If the dealer cannot offer a better deal than these rates notify them that you’ll finance the car through another method. Never look to buy on your first trip to a dealership. If sellers smell blood in the water by sensing your strong urge to buy you might make a rash decision after being pressured into purchasing a car. Notify dealers that you are simply browsing through the selection. Explain that the day is for research purposes. Consider visiting the dealership when it’s closed to take a look around the parking lot when nobody is around. Do some in depth home based research after taking notes from your due diligence session in the lot. Leasing a car usually ends up as a poor investment. Dealerships may profit handsomely by leasing automobiles but the leaser has nothing to show for steep car payments made over the lease term. 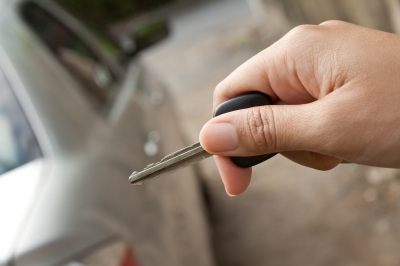 Renting a vehicle for a set period of time is a foolish financial decision. Buy to own your car outright after completing monthly payments over the course of years. About the Author: Ryan Biddulph can help you save money while buying a new car. If you live in the Southern US and need a new ride he suggests shopping at the premier car dealership in Auburn, AL.